Trainer Aidan O'Brien is seeking his fifth success in the Group One £1.325 million Investec Derby, run over a mile and a half on Saturday, June 7. Following on from Galileo (2001), High Chaparral (2002), Camelot (2012) and Ruler Of The World (2013), this year's leading hope is Australia, the red-hot 11/8 favourite with Coral, official betting partner of the Investec Derby Festival. 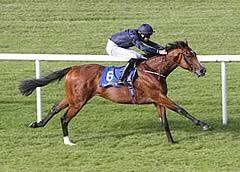 The three-year-old is by Galileo and out of the 2004 Investec Oaks heroine Ouija Board. He began his career in a seven-furlong maiden at the Curragh on June 30 last year, finishing the neck second after a very slow start. He won his next two starts impressively, taking a seven-furlong Curragh maiden and the mile Group Three Breeders' Cup Juvenile Turf Trial at Leopardstown on September 7, when he accounted for the previously unbeaten Free Eagle by a facile six lengths. Australia's 2014 season began on May 3 at Newmarket when he was a staying-on third, beaten three-quarters of a length, behind Night Of Thunder in the QIPCO 2000 Guineas over a mile - Britain's first Classic of the year. The trainer was quick to acknowledge that the start of the 2014 season has been far from easy. He said: "It has been a struggle this year and not been straightforward. The horses were very in and out earlier this season, but I am happy now. There was some coughing in the yard and some horses needed antibiotics but we trained on through it. We just had to be very gentle. Everyone gets these sort of problems and this year it was us. We are back on the right road now, but we just had to go down a few side roads to get there. We just had to be careful to keep everything at pitch. You want horses to be 100 per cent so you have to be gentle with them after they have been sick. "Australia was sick around seven weeks before the 2000 Guineas and was among the first to start coughing but he managed to get over it in a week. "We were excited by Australia ahead of the Guineas as he had really come on and treated his work companion Oklahoma City with total contempt in the build-up. "The reason we went for the Guineas was because we knew the ground would be good at Newmarket, it is run over a straight mile and gave us a five-week gap ahead of Epsom. "He has done nothing since the Guineas and there is still four weeks until the Derby. He is a very natural horse and has a great mind, so he is like both his dad and his mum in that respect. "He is a horse that has always excited us. When he turned up in the Guineas, he ran well - there were just so many variables in that race. "We knew Australia was special from the first time we worked him as a two-year-old. The lads always rated him as he always showed us something different. In the March/April of his two-year-old career he was half-speeding with horses he shouldn't have been at that stage of his career. "Australia is uncomplicated, relaxed and has speed - exactly what you want in a racehorse. He is a horse you have to work out all the time - he is so relaxed he is always yawning! "Training horses is not an exact science. Every year something different seems to come along and there are so many variables." Joseph O'Brien, the trainer's son and jockey who will be aboard Australia in the Investec Derby, said: "Australia has pace but is also well-balanced and has a good temperament - you really cannot fault him. "I wouldn't want to swap him for anything else at all either in the Derby or back over mile. I like him and always have done. "I really believe in the horse. To be successful, you have to believe in your own horse." O'Brien hinted that he is likely to have four runners in the 2014 Investec Derby with Chester Vase winner Orchestra (20/1 with Coral), Dee Stakes scorer Kingfisher (33/1) as well as Geoffrey Chaucer (14/1) also likely to line up. He continued: "I was very happy with the way Orchestra won at Chester. I wasn't sure he would get a mile and a half even though his pedigree is very stout. I know Ryan Moore was also impressed with him at Chester and thinks he has a big chance in the Derby. "Kingfisher also won well at Chester and is very straightforward horse. Nothing went right for Geoffrey Chaucer in the Derrinstown Stud Derby Trial at Leopardstown as it was a very messy race with a slow pace. Joseph had to go up the inside from where he was drawn." 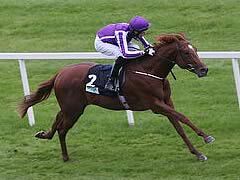 O'Brien also described what it means to win the Investec Derby. He continued: "No matter what anyone says the Derby is the total test. It is the total test of speed, stamina and tactics run over an undulating course. It is the ultimate test, our Olympics and what the breed is all about. "It's the race where everyone wants to be. It's the ultimate race and like no other. The lads (owners John Magnier, Michael Tabor and Derrick Smith) always want to have as many runners as they can in the Derby." Ruler Of The World, the 2013 Investec Derby winner, is likely to make a return visit to Epsom Downs this year for the Investec £360,000 Coronation Cup (In Commemoration Of St Nicholas Abbey), which also takes place over a mile and a half at Epsom Downs on June 7. The trainer said: "The plan is to go for the Coronation Cup with Ruler Of The World. "We took a chance with him when we took him out to Dubai as it was a new surface for him. The team we took to Dubai this year was also probably not as fit as in previous years. "I was very happy with his first piece of work back and there is a month until Epsom for him."